PORTSMOUTH, NH (December 10, 2008) — In recognition of his tireless commitment to making dreams come true for children around the world, Santa Claus has been named this season's recipient of the "I Need a Hideaway" Award by Hideaways InternationalTM, the 30-year-old company catering to discerning, passionate travelers. As the winner, Santa is now a privileged member of the Hideaways Aficionado® Club. Rather than return to the frozen tundra of the North Pole after a laborious Christmas Eve this year, Hideaways' Founder and President Mike Thiel invites Jolly Old St. Nick to swap his red suit for a fluffy white robe when he visits any of the following premier spa resorts, which are just a few of the international hide-outs where Hideaways Aficionado Club members receive complimentary spa treatments.
? The Sarojin (Phang Nga, Thailand). "This contemporary Asian oasis of restoration and harmony is the place for an on-the-go man like Santa to unwind," said Thiel. "He and Mrs. Claus will find their spacious and contemporary one-bedroom residence tucked among serene gardens, and just a stroll from a nearly seven-mile-long stretch of beach along the Andaman Sea. The two of them will enjoy spending time reconnecting in their Thai sala, or ?place of rest,' which is a decadent and private outdoor pavilion. I'm sure they'll also love their member perk of a complimentary 60-minute traditional Thai massage for two."
? 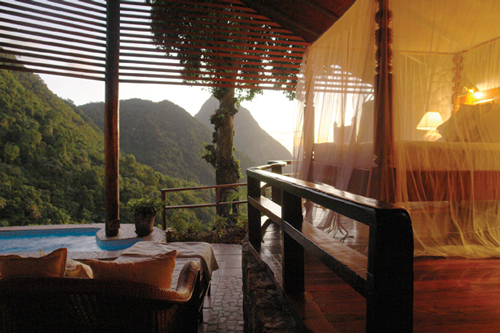 Ladera Resort (Soufriere, St. Lucia). "Santa is a kid at heart, and I'm sure he'll enjoy Ladera's treehouse-style villas," said Thiel. "He and the Mrs. will be perched 1,000 feet above the coast, between St. Lucia's Pitons, where they can take in the amazing views from their three-walled villa — where the fourth wall might be expected, your room is wide open to sky, sea views, and cool breezes. Their villa will even have a private swimming pool and kitchen, and they can enjoy their member perk of a complimentary couples' massage during their stay."
? 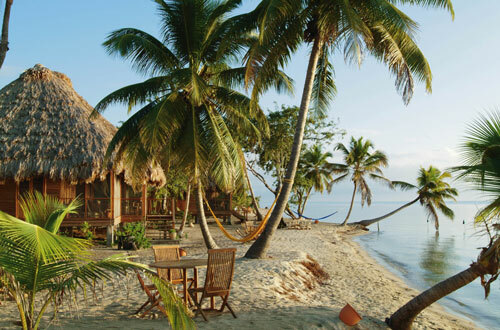 Turtle Inn (Placencia, Belize). "I hope Santa has a red bathing suit, because he'll need it at Turtle Inn, where he and the Mrs. Claus will surely be tempted to frolic in the sparkling turquoise ocean," said Thiel. "Their thatched-roof bungalow will be nestled under waving palms, with a panoramic beach view, and a private garden with outdoor shower. They can soothe away the holiday-induced stress with their member perk of a complimentary Thai massage for two." "Santa has a very demanding job," said Thiel. "And even with his magic, he must be ready for a vacation after 12 months spent helping his elves make gifts, and then delivering all those presents in one night. Next year, Santa should make things easier by giving gift memberships in the Hideaways Aficionado Club to all those travelers on his ?nice' list." This special honor is bestowed on public figures who've earned a well-deserved break by overcoming adversity, or who need to escape the limelight they've earned through incredible misdeeds. Past winners of the "I Need a Hideaway" Award include ex-Governor of New York Eliot Spitzer, Al Gore, President Bill Clinton, "OJ" Simpson, and Mayor Rudolph Giuliani. For additional information on Hideaways International, Inc. and the Hideaways Aficionado Club, visit www.Hideaways.com or call (800) 843-4433.